Welcome to your Skip Bins business future. This is the first step to becoming a part of the Trailaskip team. 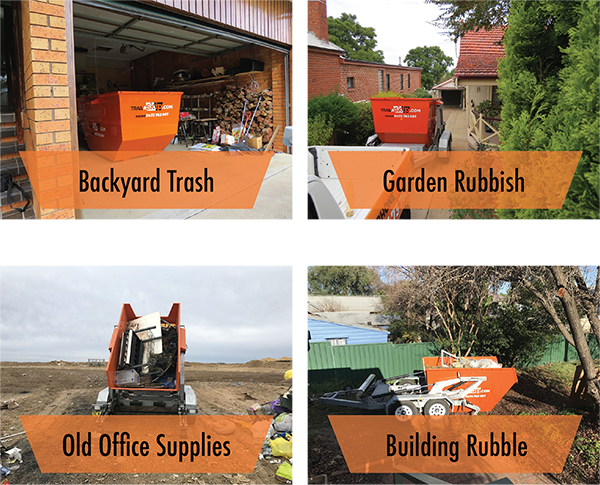 In this profile pack, you will find all the necessary information in regard to owing and profiting as part of your own Trailaskip Franchise Skip Bins Business. Trailaskip is a skip hire service that caters to those hard to reach places. We aim to provide an easier route for one’s rubbish, so you can spend more time working and less time carting rubbish around. This franchise business opportunity is a unique chance to join a growing business and receive the rewards of belonging to a well-established franchise network. Here at Trailaskip, we take pride in what we do, and we hope you will too. Every operator will undergo an extensive training course, so when you are out on the street you are fully equipped with the knowledge for every situation and so your customers can be assured that the person doing the job is in the know. The initial and ongoing support of Trailaskip coupled with your own efforts means the possibilities are limitless. We invite you to discover how you can become part of the successful Trailaskip franchise business network as a franchisee operating in your own exclusive territory. Trailaskip franchisees have a protected geographical territory in which to develop their customer base. Your territory is bound by postal codes and corresponding suburbs and further defined to include a minimum of 10,000 dwellings which has the potential for a great demand of removals per week. After many hours of developing concept after concept with the assistance of certified mechanical engineers, we have come up with the best possible product to make this job effortless and easy. The trailer that we have designed uses hydraulic rams to lift, transport and unload skip bins full of waste as if they were empty. The easy nature of our design opens the market for smaller operators with limited experience in this field. We are very proud of what we have been able to achieve with the trailer we have designed. Its simplistic approach makes it easy for one person to be able to do the work of two even three men, which makes this opportunity that much more appealing not only as a cost-effective domestic service but also a simple business. With the carefully engineered and designed Trailaskip trailer it allows customers to have their skips in more accommodating areas where width and height may be a limiting factor. We will provide you the extensive training and skills needed to run your own franchise business. Trailaskip is dedicated to ensuring you are fully prepared with thorough initial and ongoing training. The Trailaskip management team will take you through everything that is required to ensure you get off on the right foot! As a Trailaskip Franchisee, you must possess a strong commitment to learning the system and working with it. You must be able to make your own business decisions, in a framework that reduces some of the risks of small business ownership while carrying the potential to increase the rewards.